The 2015 Chevy Cruze was named the 2014 Fleet Car of the Year. 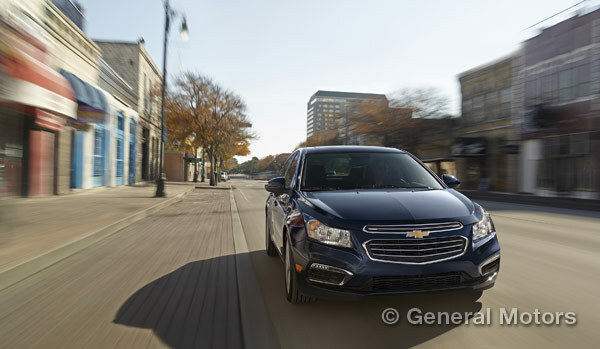 Both Automotive Fleet and Business Fleet magazines named the 2015 Chevy Cruze the 2014 Fleet Car of the Year. The Cruze beat out 48 other cars to claim the title. Those sales that Peper referenced are phenomenal this year. Fleet sales for the Cruze are up 41% in the first 10 months of this year compared to the first 10 months of 2013. In fact, the Cruze is Chevy’s best-selling car globally; Chevy reached the 3 million mark just this August. The Chevy Cruze saw some exterior styling updates for 2015 here in the States and now comes with OnStar with 4G LTE with a Wi-Fi hotspot.